If you’ve never tried making your own Turkish Delight because you think it is too difficult, then you are in for a surprise – a fresh, soft, sweet surprise when you follow our recipe. 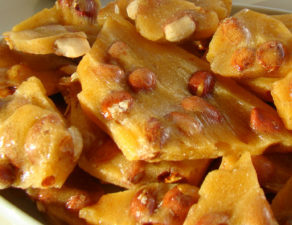 Traditionally it is delicately flavoured with rosewater and coloured red, as we have done in this recipe, however you can use other colours and try flavouring with lemon or orange once you’re confident, and add nuts such as pistachios, and hazelnuts or walnuts. Step 1. Place the sugar and 500ml of water in a heavy-based saucepan over low heat and stir until the sugar dissolves. Step 2. Place a sugar thermometer in the saucepan [careful the sensor of the sugar thermometer does not touch the side or the base of the saucepan] then increase the heat to medium. Cook, without stirring, brushing down the sides of the pan occasionally with a pastry brush dipped in water, until the temperature reaches 125 degrees Celsius. Stir in the lemon juice. Step 3. Place the gelatin, cornflour and cream of tartar in a large saucepan. Use a balloon whisk to whisk in a little of the remaining water to form a paste. Gradually whisk in the remaining water. Step 4. Place over medium heat and cook until the mixture boils and thickens. This process may take up to 10 minutes. Once the mixture has boiled and thickened turn the heat off. Do not over cook. Step 5. Gradually pour the sugar syrup into the cornflour mixture, whisking constantly [ if the mixture becomes lumpy, pour through a fine sieve into another saucepan]. Step 6. Place the sugar thermometer in the saucepan and heat the mixture on low heat, simmering, until the temperature reaches 110 degrees Celsius and stirring occasionally to prevent the mixture sticking to the base of the pan. This could take up to an hour. Add the rosewater and the food colouring and stir until well combined. Pour the mixture into the prepared cake pan. Step 7. Set aside to cool to room temperature [preferably leave overnight]. Step 8. Remove the Turkish Delight from the pan and place on a chopping board. Using a lightly greased knife cut into 3cm pieces. Step 9 . 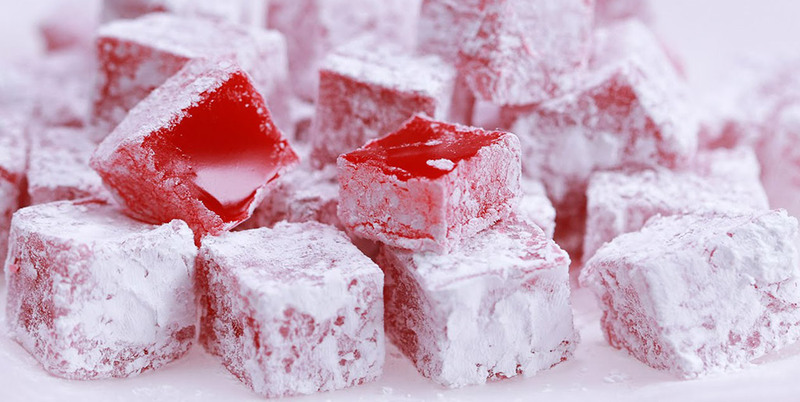 If you wish to make the Traditional Turkish delight, roll the cut pieces into the icing sugar mixture. If you wish to enrobe with chocolate, temper some dark or milk chocolate and hand dip the Turkish Delight in the tempered chocolate.